The Jewish Ghetto has left its dark days behind and became a vibrant place to explore, with remnants of every era of Roman history. From prosperity to persecution and back again, the 2000-Year Jewish presence in Rome is one of resilience and resourcefulness. The tour takes you to St Peter's in Chains to view the Statue of Moses by Michelangelo. 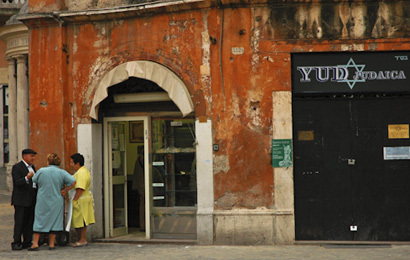 You continue to Trastevere, and the Ghetto where you walk from the island in the middle of the Tevere (Tiber) River, through the recently excavated gateway to Rome and arrive on the streets of the Ghetto. This area was once a walled enclosure which Pope Paul IV mandated to house and restrict the Jews of Rome. It is now the heart of the Roman Jewish Community. The tour ends at the impressive Synagogue (completed in 1904). You visit the Temple and its historical museum. The museum guide then links 2,000-year Jewish Heritage to Rome's modern community.